Accepting the opportunity to work beside his father in the family firm, Ted Robinson Jr. left a successful career in the financial industry to join Robinson Golf Design in 1991. That led to nearly two decades of father-son collaborations on successful golf course projects around the world, until the death of Ted Robinson Sr. in 2008. Now operating his own company, Robinson is established as a driving force in golf course architecture, with Robinson Golf a recognized authority of course designs that provide championship challenges, as well as more friendly opportunities in the 4,500-yard range, all without sacrificing the strategic elements of each hole. A Southern California native who grew up in Rolling Hills, Robinson’s first assignment in the golf industry came long before his partnership with the father. As a boy, he would be “hired” to color his father’s golf course the plans with color markers, for a fee of 25 cents. As he got older, Ted worked with construction crews on golf course sites and was also a member of the maintenance crew at Rolling Hills Country Club. Robinson received an undergraduate degree from the University of Southern California in 1975 and a Masters degree in Business Administration in 1977. With no desire to pursue a career in golf course design, Robinson went into real estate construction financing. In 1985 he became Senior Vice President and Regional Manager for Wells Fargo Bank in Los Angeles. During his six-year tenure, the Los Angeles region underwrote more than $5 billion in local development. In 1989, Robinson became a partner in a San Diego-based development firm, overseeing the financing and construction of commercial shopping centers with an aggregate value in excess of $100 million. He also has experience in the insurance industry, handling property liquidation. Robinson was nearly 40 when a casual conversation with his father led him to rejoin the family firm. In 1995, Robinson began processing for the development of a 36-hole public golf facility on 400 acres in Santa Clarita, Calif. Named in honor of his father, Robinson Ranch was co-designed by the Robinsons and opened in February 2000. Principally involved with the design of golf courses around the world, Robinson’s projects include Rancamaya Golf Club in Bogor, Indonesia; Pinx Golf Club in Cheju Island, South Korea; the Marriott Los Suenos Resort in Bahia Herradura, Costa Rica and Whistling Rock, outside of Seoul, South Korea. 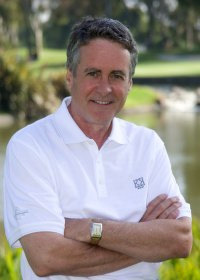 Domestically, Robinson’s work includes the Phoenician in Scottsdale, Ariz.; Riverwalk, San Diego; Pelican Lakes, Windsor, Colorado; Tuscany Hills in Henderson, Nev.; Arrowood Golf Club in Oceanside, Calif; and King Kamehameha Golf Club, Wailuku, Maui Hawaii. 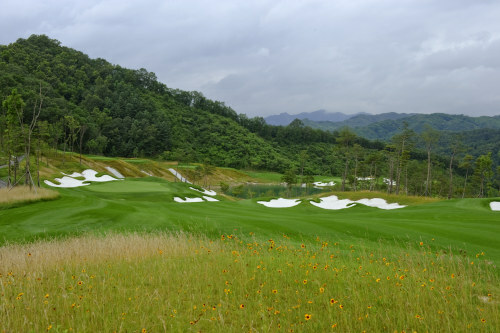 At his newest project, Whistling Rock in South Korea, Robinson has created a scenic, 27-hole facility carved along the side of a mountain. While capturing the elements of the natural landscape’s dramatic rock formations, Robinson has infused 13 lakes, numerous streams and several breathtaking waterfalls. Early in 2015, Robinson relocated from California to the Pacific Northwest and now lives in Seattle, Washington. He has three daughters, Kaitlin, Melissa and Jaramie. 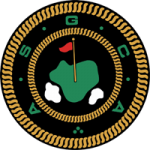 He is a member of the American Society of Golf Course Architects.